Contact your Sales Consultant Today! 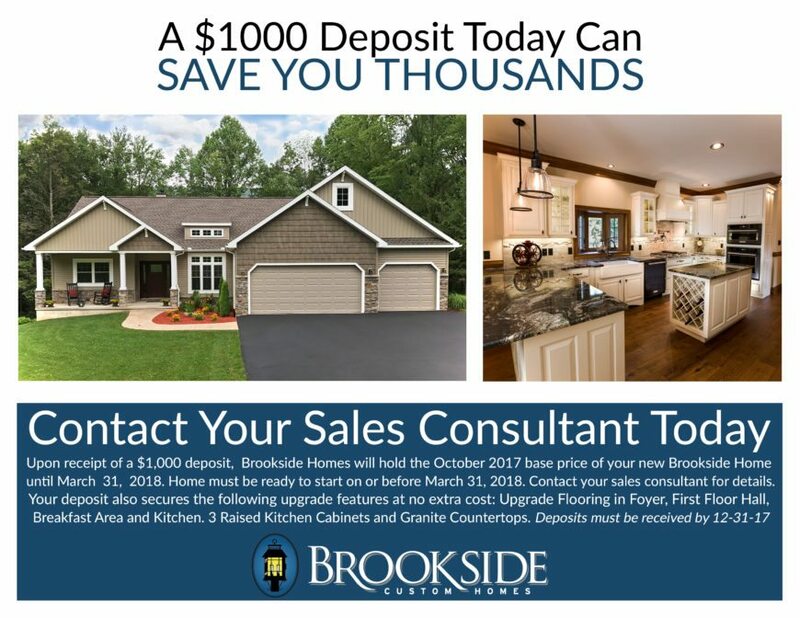 Upon receipt of a $1,000 deposit, Brookside Homes will hold the October 2017 base price of your new Brookside Home until March 31, 2018. Home must be ready to start on or before March 31, 2018. Contact your sales consultant for details. Your deposit also secures the following upgrade features at no extra cost: Upgrade Flooring in Foyer, First Floor Hall, Breakfast Area and Kitchen. 3 Raised Kitchen Cabinets and Granite Countertops. Deposits must be received by 12-31-17. Facebook reports: An access token is required to request this resource.